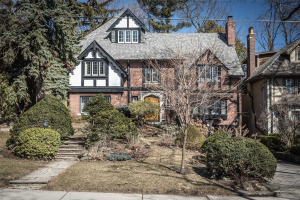 Most Sought After Location In Lytton Park, Rarely Does A Property Like This Come Available. 50 X 136 Lot With Private Drive And Two Car Garage, Solid Brick Home, With Large Principle Rooms, Natural Fireplace, Gleaming Hardwood Floors, Bright Breakfast Area, Next To The Family Room With A Walk Out To The Back Yard. High Full Finished Basement, With Study, Rec Room And 4 Pc Bath. Steps To Yonge St, Restaurants And Shops.